South African born Clayde has accumulated 15 years in the hairdressing trade, of which the past 6 have been spent in the United Kingdom. Clayde joined D&J Ambrose in January 2013 and his rise to success since, has been nothing short of explosive, having worked on numerous high fashion projects including London Fashion Week and Central Saint Martin’s Fashion Week, to name but a few. Now reigning British Colour Technician of The Year, Clayde was lured to London by his love of fashion and the pioneering and competitive nature of British Hairdressing. In short succession, his accolades range from attaining the coveted title of Wella Master Colour Expert and a recognised state registered senior hairstylist. He was also placed top 10 in the UK Colour Category of Wella Trendvision Awards in 2013. Further to this, Clayde has travelled extensively throughout the United Kingdom in an educational and inspirational capacity alongside Darren Ambrose and his team, delivering continual professional development to peers and championing the Wella brand. Recognised for his technical prowess and marked creative ability, Clayde spends his time out of the salon as a part time journalist for a renowned trade publication, The Professional Hairdresser and produces a monthly column featuring all things colour for the UK hair industry. 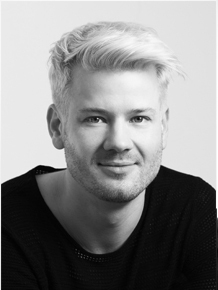 Recently Clayde was given the distinct honour as a colour authority to judge the 2015 Schwarzkopf Young Artistic Team and this year Clayde will serve as an ambassador for British Hairdressing and will showcase his work on the ProHair Live stage in April. On being Ambrosian, Clayde says, “Being part of the D&J Ambrose Art Team is a huge opportunity for me to enhance and perfect my techniques and grow in various fields, whether it’s personally, professionally or socially. Being part of any team is a great way to share and gain new information and techniques. It gives you access to other creative minds and increases your own ability to think laterally and creatively”. Clayde says on his love of hairdressing, “I love people as much as I love hair. The ability to create something in such a small space of time that has such a profound impact on another person’s life is an incredibly rewarding and empowering thing”.